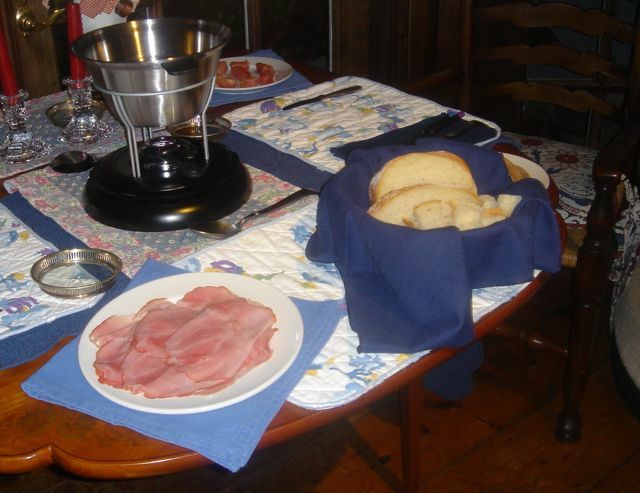 I am going to date myself big time – fondue pots were all the rage as wedding presents many, many years ago. Well, what do you do with those fondue pots, collecting dust in the back of your cupboard? Use them, but in a different way. Get whatever ham you like – just not the pre-sliced stuff in a package. You want quality ham. Also buy the best French bread you can find. You can buy the fondue in a package, if you are pressed for time. I told you this was a non-recipe – you notice the emphasis on buy. Have all ingredients ready on the table so each person builds their own sandwich. Melt fondue in pot and lightly toast bread. Arrange ham slices on a plate. 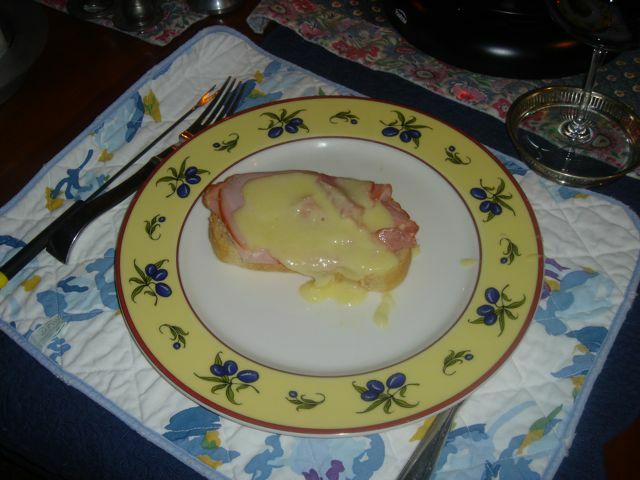 Each person then “makes” their own sandwich – bread, ham slices, spoon fondue on top.